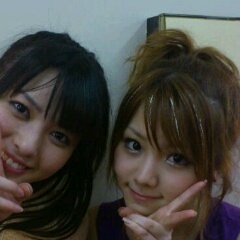 ▪Maimi’s fellow ℃-ute member Suzuki Airi shared this shot of the 2 in her blog update today. 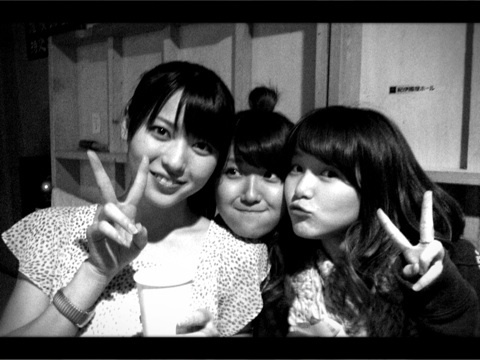 ▪Morning Musume’s Michishige Sayumi posted this 3-shot of her, Reina, and “rain girl” Maimi in an update on her Ameba blog, and wrote that it was a miracle that the rain began and ended just as ℃-ute’s performance did. ▪Morning Musume’s Tanaka Reina uploaded this series of 2-shots with Maimi in an update on her official blog, and wrote that Maimi’s height frightens her. ▪Finally, Hello! 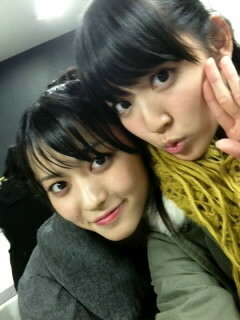 Project soloist Mitsui Aika shared all of these shots with Maimi in an update on her official blog. 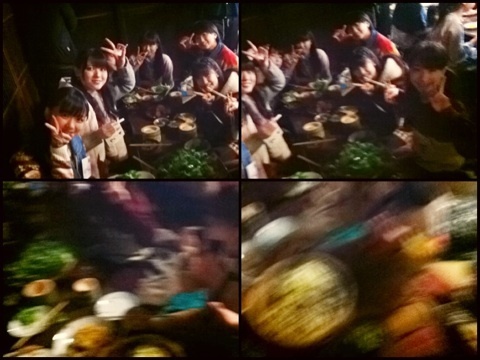 Fellow ℃-ute member Okai Chisato uploaded these shots from backstage at ℃-ute’s tour in her update today on the official ℃-ute blog. Hello! 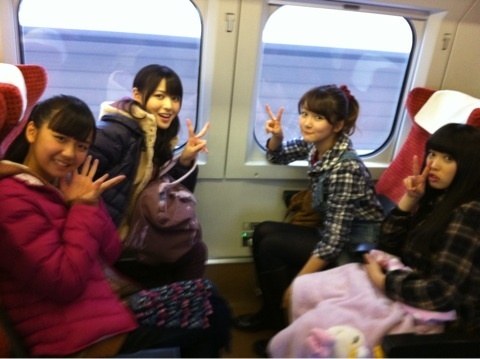 Project soloist Mitsui Aika went and saw “Sugar Spot” today and shared these two 3-shots with the play’s stars in an update on her official blog. 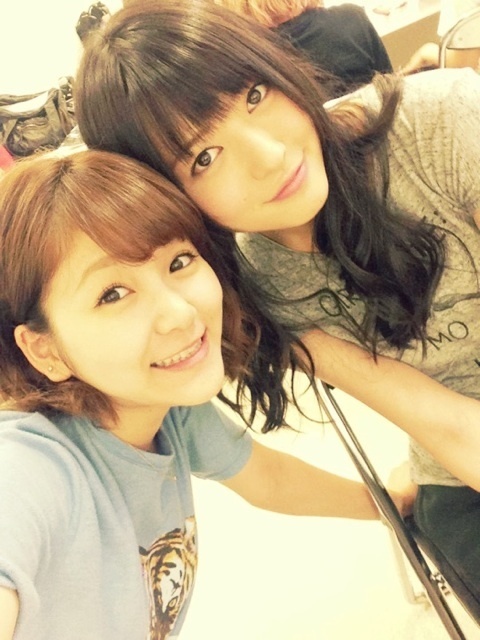 Aika wrote that she loved Maimi’s character “Aoba” and that she was reminded of the play “Ran”. 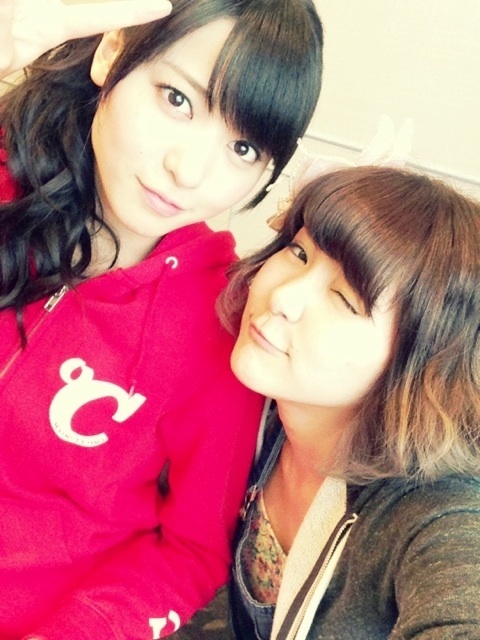 “Sugar Spot” co-star Miyahara Shogo-san posted this 2-shot of Maimi and Chinami in an update on his official blog. 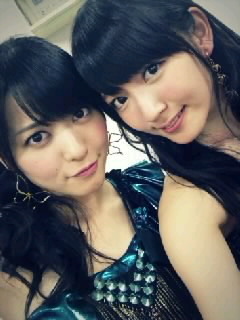 Fellow ℃-ute member Suzuki Airi uploaded this 2-shot with Maimi in an update on the official ℃-ute blog. 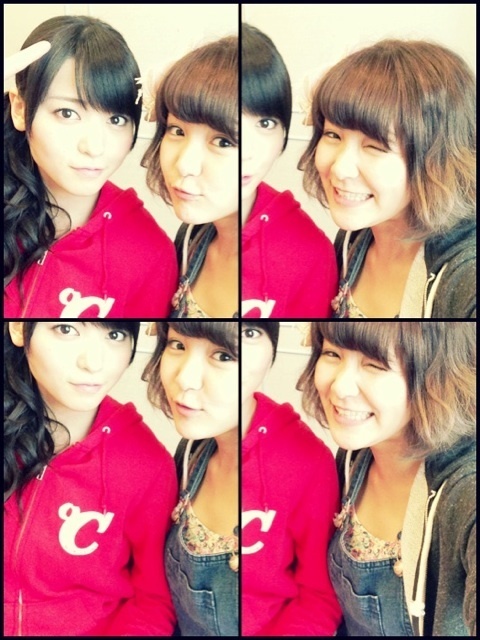 Former Morning Musume member and current soloist Mitsui Aika went and saw ℃-ute’s concert today, and shared these 2-shot collages on her official blog. 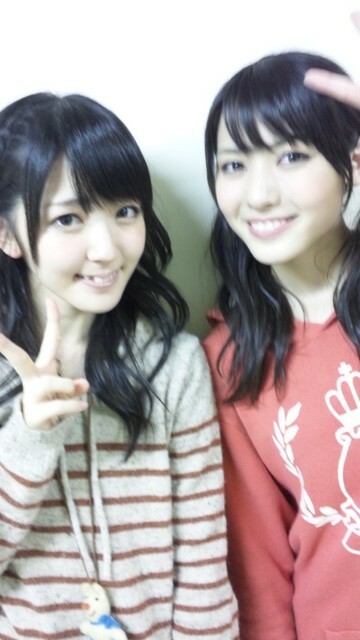 In addition, Aika wrote that she finds Maimi’s mere existence soothing. 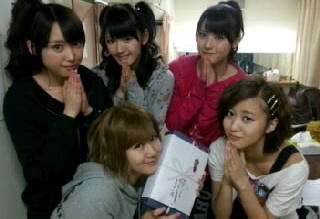 “Sugar Spot” writer/director Shioda Taizo updated his official blog for the 3rd day of the play, attaching a couple of shots featuring Maimi and the visiting Berikyuu members. 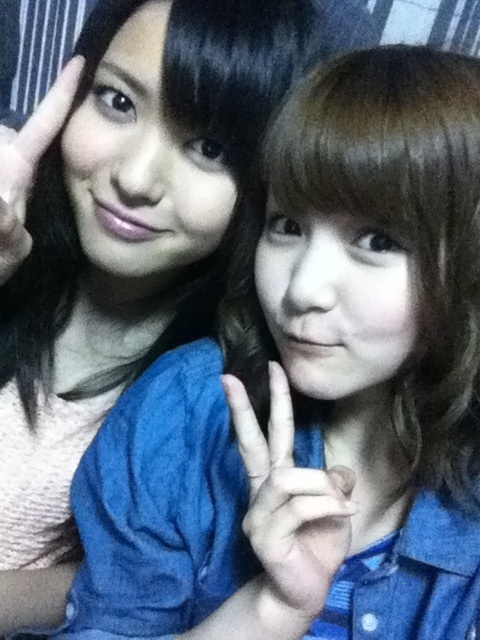 Morning Musume’s Michishige Sayumi uploaded this shot of Maimi and this shot of Maimi and Airi in an update on her official blog today. 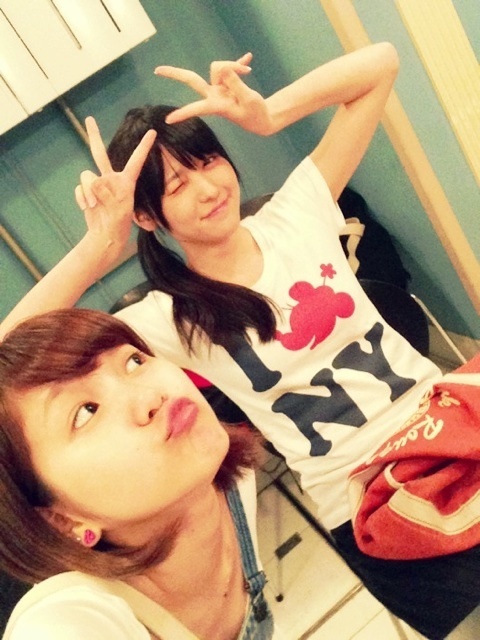 In addition, Morning Musume’s Mitsui Aika posted this 2-shot with Maimi on her brand-new blog, and wrote that even though they don’t talk often, Maimi wrote about Mitsui’s birthday on her blog. 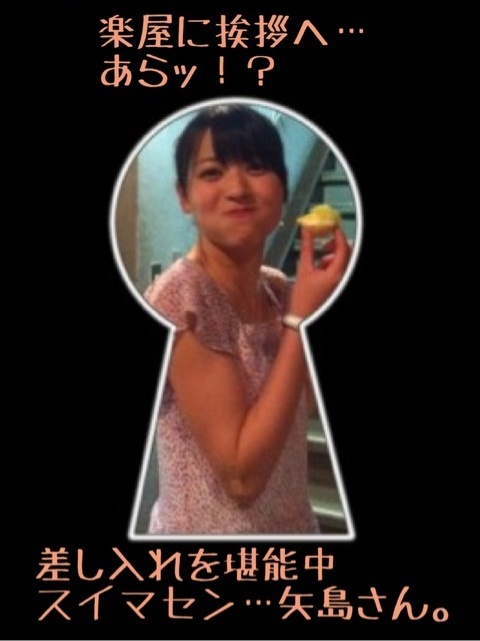 She added that Maimi is a straight-forward and cute person, and that she loves her smile and voice.